This spring, follow a stunning coastal trail, wander through rainforests, explore outback landscapes or traverse the mountains to reach Australia’s highest peak – in New South Wales, the choice is yours. Cost: Park entry fees apply. From June to October, the fee is $29 per vehicle per day, and is $17 for the rest of the year. The journey to the summit of Australia’s highest peak is a challenging one, but this classic Australian hike is well worth the effort. As you ascend the lower slopes, you’ll pass fields of pink, white and orange wildflowers set against soft green grasses and moss. Journey up through the ghostly white snow gums and you might be fortunate enough to see some of the last patches of winter snow. Once you reach the summit, you’ll be awe-struck by stunning panoramic views of the Snowy Mountains and beyond. 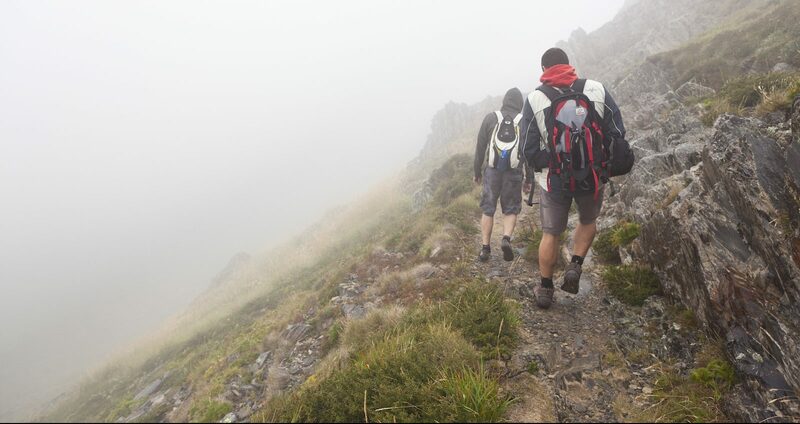 Make sure you dress for the occasion and bring wet-weather gear; the high altitude means that it can get very cold, and the weather can turn nasty quite unexpectedly. There are two ways to complete this walk: start at Thredbo and take the chairlift to the beginning of the summit walk, which is 13 kilometres return and takes approximately three to four hours; or, start at Charlotte Pass and take the 18.6-kilometre walk, which takes approximately six to eight hours return. Cost: $12 per night camping fee at North Era. If you’re interested in an extended bushwalking adventure, the Coast Track in Sydney’s Royal National Park is not to be missed. On this 26-kilometre walk, which hugs the coastline from Bundeena to Otford, you’ll discover a variety of landscapes, including coastal scenery, rocky clifftops, coastal heaths, waterfalls and stunning rainforests. This is quite a challenging trek with some steep and difficult terrain, and is recommended for experienced bushwalkers only. The track can be walked in either direction; if you begin at Bundeena and take the trail south, you can easily catch the train from Otford back to the city. With so much to see and so many kilometres to cover, it is worth stretching this adventure over two days to truly soak it all up. You can camp at the North Era campground, 18 kilometres from Bundeena, but do ensure that you book ahead. This walk also offers excellent whale-watching locations, perfect for gazing out at the humpback whales as they migrate south until early November. Cost: Park entry fee of $8 per vehicle per day. Warrambungle National Park, near Coonabarabran in Central New South Wales, is a bushwalker’s haven, renowned for its challenging walks and iconic scenery. The most well-known trail in the area is the Breadknife and Grand High Tops walk, which offers adventurers spectacular vistas of the iconic rock formations of Belougery Spire, Bress Peak and Crater Bluff. As you pass Balor Hut campground, you’ll be treated to what is considered one of the best panoramic views in all of New South Wales. In spring, this walk is particularly charming, as white, purple, yellow and orange wildflowers burst into bloom. It is also a fantastic birdwatching location; look out for wedge-tailed eagles and peregrine falcons soaring high above you. This medium-level walk between Govetts Leap and Evans Lookout offers some of the most breathtaking scenery of the Blue Mountains. The trail winds along a cliff edge, passing through stunning native ora, including heath, she-oaks and banksias. In spring, nature puts on a show as the bushland lights up with colourful wildflowers. This track is also perfect for wildlife spotting and bird watching: keep an eye out for yellow-tailed black cockatoos and colourful king parrots. At Evans Lookout, stop to have a rest and spend some time gazing at the majestic Blue Mountains. Cost: Park entry fees of $8 per vehicle per day. Take this gentle walk along the shoreline of ancient Lake Mungo to explore awe-inspiring sand dunes and formations, picturesque gnarled trees, and grassy woodlands. The World Heritage–listed Lake Mungo National Park, which covers 27,850 hectares, is rich in Indigenous history, and is renowned for its fascinating wind-sculpted sand and clay formations. Here, evidence of ritual burials has been discovered that dates back 42,000 years. The Foreshore Walk begins near the historic Mungo Woolshed, which stands as a reminder of the region’s pastoral history. Follow the trail past the western shore’s impressive red sand dunes, and then through a forest of mallee and white cypress pines – a welcome respite from the sun. Despite the dry landscape, there are many species of wildlife to be seen here; keep an eye out for mobs of kangaroos, emus and pink cockatoos.